Whether you’re remodeling or replacing an older model appliance, it’s always a good idea to follow a few simple tips before purchasing your new kitchen appliance. Buying the right appliance will minimize future instances of appliance repair. Instead of measure twice, cut once, it’s more like measure twice and no returns. It seems simple, but oftentimes, we forget and assume the area is built for a standard refrigerator. If you’ve moved into an updated older home, the question of the standard refrigerator is standard for what decade. The excitement for the arrival of your new refrigerator can quickly turn into weeks of frustration and take-out food when you realize the space allotted for the refrigerator was based on a mid-century design. Always measure the space before going shopping and remember to take into account any trim pieces. And as a rule of thumb, never leave the house without the trusty measuring tape. Whether you’re an online shopper or in store shopper, be sure to do your research before buying that new appliance. A great tip is to comparison shop online first. Not only is it convenient, but it’s a great way to price check. Then after your research, hit the stores to view the appliances in-person. The charcoal front-loader washer may look like the perfect complement to your color palette, but have a completely different hue in person. Visiting the store in-person is also a great opportunity to inquire about free installation and confirm delivery costs, if there are any. Another great tip for research, call an experienced appliance service company in North Texas for information. Who is going to know an appliance better than an expert appliance service technician? Don’t think of energy efficiency as how much you will save in a month, but how much you will save over the lifetime of the appliance. The more efficient appliances may cost a bit more up front, but they also may save more money in the long term. If you’re not sure how long your appliance should last, call C&W Appliance Service in Dallas. Whether Sub-Zero, Wolf, or other appliance brands, the expert service technicians at C&W can help answer questions about an appliance’s lifetime performance. Do you design your room around your appliances or your appliances around your room? Regardless of how you design, be sure to take advantage of online sites for inspiration, whether Pinterest, Houzz or even HGTV. Print out photos, layouts and color palettes. Whether the kitchen or the laundry room, you can pick and choose what goes best in your home and with your family’s lifestyle. If you want big savings, consider the time of year. Not unlike the automobile industry, appliance manufacturers unveil their newest models in the fall, giving consumers an opportunity to save even more on last year’s models. Also consider holiday specials. Sales often fall around holidays like Christmas, Memorial Day, Labor Day and Thanksgiving. If you happen to see a showroom deal that seems too good to believe, it may be. It never hurts to make a call to the C&W experts to check up on the brand and model. That $150 deep freeze special may later thaw your enthusiasm and cost more in the long run. For more appliance information, contact the experts at C&W Appliance Service in Dallas at (855) 358-1496. 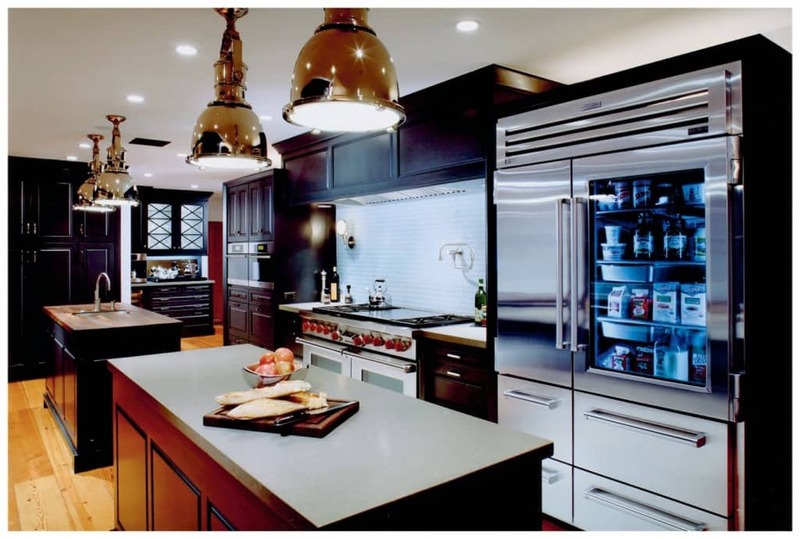 C&W Appliance Service is the only Sub-Zero Premier Partner and factory certified Subzero & Wolf appliance repair service provider in the Dallas/Fort Worth area and in San Antonio, Texas.